Lamp Incorporated is excited to be partnering with Sletten Construction on this senior living center in Peoria, Arizona. The Mission at Agua Fria Assisted Living & Memory Care community is slated for completion January 2018. Check out the progress we are making on the structural steel and stud framing! Lamp is proud to be working with Advocate Health Care as the Construction Manager on the expansion and addition of MRI Services. 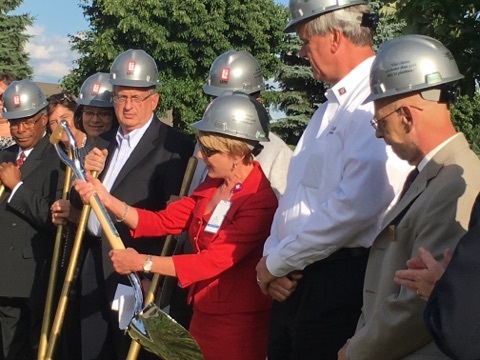 On Thursday, July 14, we celebrated the project with a groundbreaking ceremony. The expansion will include 2,011 SF additions on the first and second floors. Check out a few photos from the groundbreaking event. Would you like to work with Lamp on your next project? Contact us today.